Welcome to another Top Ten Tuesday as hosted by the people of The Broke & the Bookish. Today’s topic is about your top ten favorite new-to-you authors that you read in 2015, so here are my top ten in no particular order. Tahereh Mafi – Her trilogy was one of my favorite trilogies of the year and I just really liked how she explored Juliette’s character and showed exponential growth with her, plus her writing style is just very poetic and lovely. Sabaa Tahir – Her debut novel was epic and it really was worth the hype, in my opinion. She writes strong characters and is able to really paint a picture of the setting without overkilling it. Renee Ahdieh – Her story was a retelling of a classic, and though I have not read said classic, her story was different and breathtaking. I really want to know more about Shazi and all the others and what happens next. 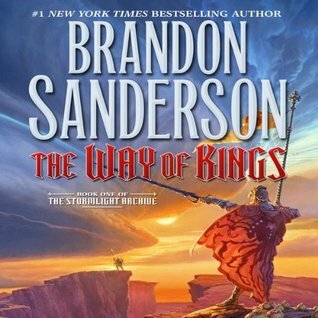 Brandon Sanderson – Though I haven’t finished the books I’m currently reading by him yet, his writing is still very powerful and engaging. The stories he writes are incredible and the worlds themselves are breathtaking and different. Mary E. Pearson – Her story captivated me and drew me in, especially the audiobook version. Though I may not have gotten the full “surprise” at the end, it was still an awesome tale of a strong heroine, two very different guys, a loyal friend, and so much more. 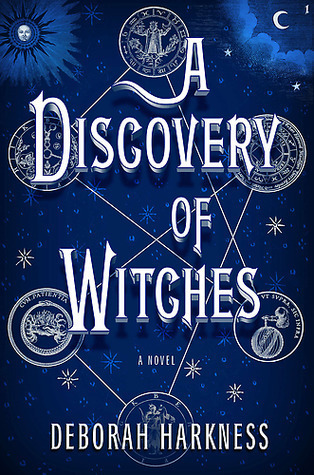 Ilona Andrews – A new discovery thanks to Sanaa from InkBonesBooks, this is a long urban fantasy series that’s become one of my favorites. As this tale is written by a husband-wife team, I can sometimes pick out the subtle differences in the writing, but it’s still a good series. Becky Albertalli – Her writing style is so fun, but serious, too, and I just really enjoyed her book. Nicola Yoon – Her debut story was really lovely and just really showed that you can’t live your life by not doing anything – you have to do something! Laini Taylor – Her writing is so beautiful and the stories she tells are just as equally beautiful. Her trilogy has definitely captured my heart and has become one of my favorite trilogies, even though I haven’t finished the third book yet. Maggie Steifvater – When I first dove into The Raven Boys, I really just felt that it was such a unique and interesting read. I haven’t read paranormal in a while, but I think that Steifvater really captured the essence of paranormal. Her characters are all unique and the situations themselves hold a sort of magical realism, which was incredible. So these are my top ten favorite new-to-me authors that I read this year. The stories are all unique and entertaining and I highly recommend any and all of them to you out there who are interested in reading books by them. What about you? Who are some of your favorite authors and why? Let me know! This entry was posted in Top 10 Tuesday and tagged adult, authors, books, contemporary, fantasy, new, paranormal, read, reading, top 10 tuesday, top ten tuesday, urban, ya, young adult. Bookmark the permalink. Love Maggie Stiefvater’s Raven Boys books!